Below is a link to the 6th Annual Southwest Diabetes Symposium coming to Scottsdale on September 16th. The presentation will consist of a review of the FY 2018 ICD-10-CM Updates. There are approximately 363 new codes, 142 deletions, and more than 250 code revisions. 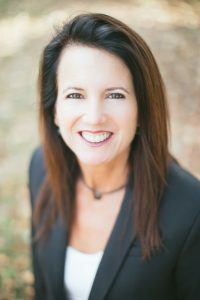 Laura Nardone, RHIA, CCS, currently serves as the Associate Vice President of Coding Services at United Audit Systems Inc. based in Cincinnati, OH. With more than 30 years’ experience in Health Information Management, Laura is thoroughly involved in the strategic growth and operational performance of UASI and is responsible for UASI’s remote and onsite coding projects. Prior to joining UASI in 2011, Laura has served in many roles in her career primarily focused on coding, auditing and education. Laura currently lives in Charleston, SC and is an active member of SCHIMA and previously served on the ICD-10 Task Force which provided education to the local members. For technical assistance with webinar, please contact annnowlin3@gmail.com. The live webinar will be recorded, therefore no refunds will be given. with High Tech Powerful tools and software exist to make the lives of healthcare practitioners much easier. Are you using them? Join us at FriendShip Village on Wednesday, September 27th at our FREE event, as our presenters discuss the top tools and technology to improve efficiencies and profitability, enhance the patient experience and bring MEDICAL ETTIQUETTE back to healthcare.